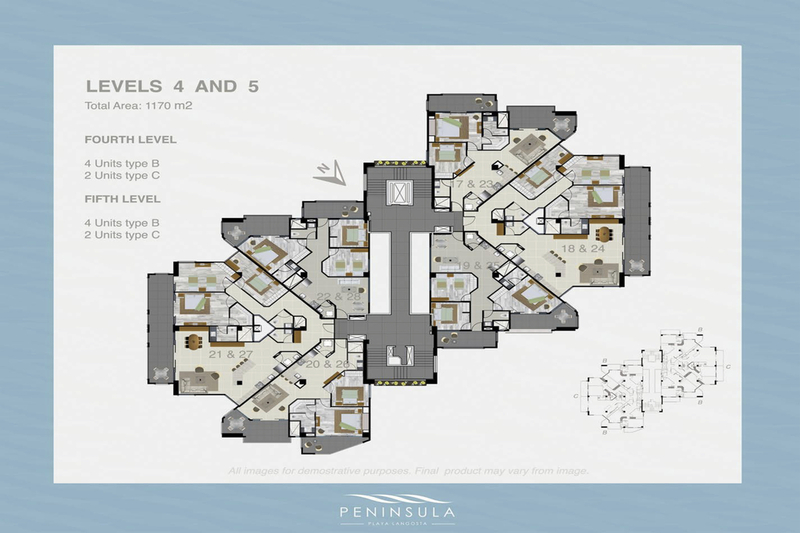 The Peninsula luxury condominiums are located in Playa Langosta, a residential and luxury community within a few kilometers from Playa Tamarindo. 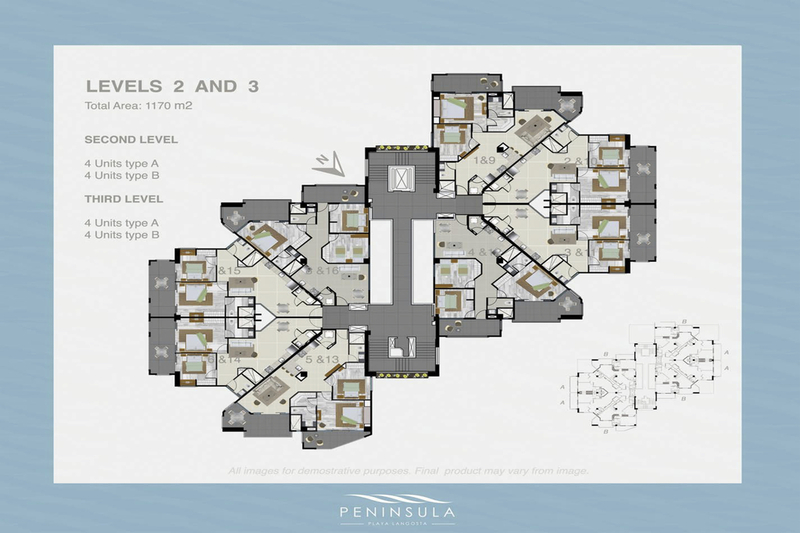 Condominio Peninsula tower TWO is currently under construction and will include 32 condominium residences in a seven story building. It will feature 2 and 3 ensuite bedrooms with views of lush tropical gardens, mountains, green areas and the Pacific Ocean. All the common areas are designed and equipped to fulfill the most exclusive standards. 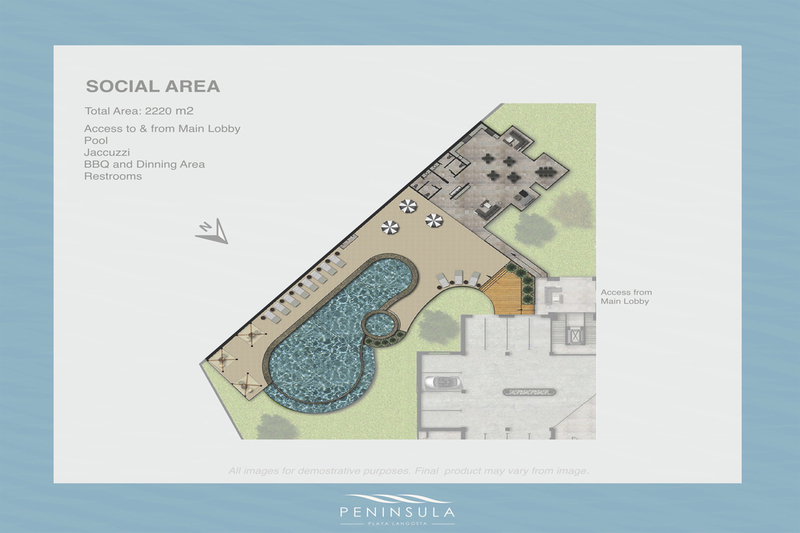 The amenities include a fitness center with high tech equipment, plenty of green social areas, a large swimming pool and underground parking for each unit. A partially open roof deck will be available to all the owners and will be the best area to enjoy the breezes and uninterrupted views of Playa Langosta and the ocean. It is also located a few steps from the surf waves of Playa Langosta. 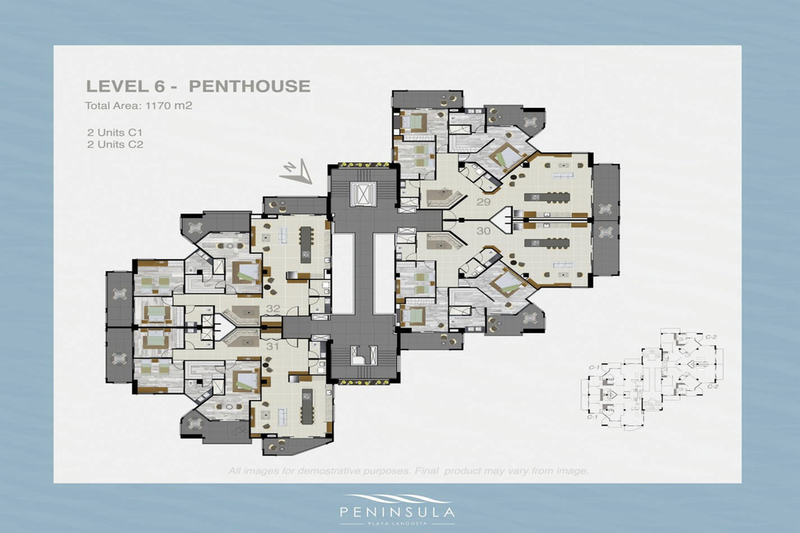 The condo fees will vary from 227.00 per month for a 2 bedroom unit and up to 550.00 per month for a 3 bedroom penthouse. This new, stunning, modern and luxurious complex is planned to be completed by April 2019. 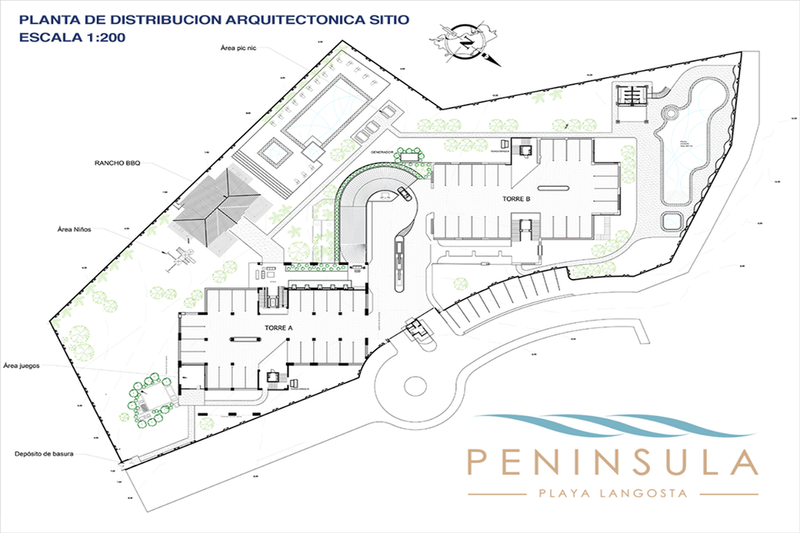 Don't miss the opportunity to invest in the newest building of the Guanacaste Coast!